The Premier program is an Elite Training program (U6's to U16's), specifically designed with the intention of preparing our most advanced players for football at the highest level. "I was appointed by Sir Alex Ferguson as Technical Coach of Manchester United because I was a Coerver®Coach. Emphasis is placed on the long-term development of our players, focussing not only on the technical and tactical components but also the physical and mental elements of the game. All our Premier players participate in age appropriate games programs in organised leagues and tournaments both locally and internationally. International Elite Development pathways via partnerships with SL Benfica and Glasgow Rangers FC offer exclusive insight, real aspiration and authentic opportunity to enter the Professional Academy system of one of the most highly acclaimed academies in the world. 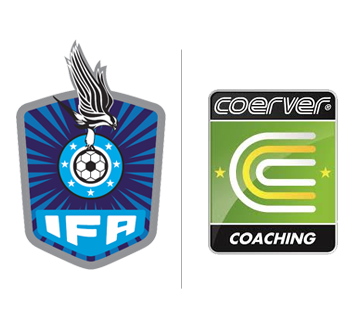 The shared philosophy of both IFA and Coerver® Coaching focusses on a reputation for quality delivery that is not only authentic but produces proven results of helping players realise their potential.